The much-anticipated 30th Anniversary version of the delightful Mazda MX-5 Miata is here. Every example will be painted Racing Orange and feature orange piping and orange interior louvers and accents, and they'll also be fitted with the Club trim's limited-slip differential, Bilstein shocks (manual only), and front shock tower mounts. It comes with unique Rays ZE40 RS30 forged aluminum wheels, orange brake calipers and a 30th Anniversary badge that features the car's serial number. Convertible anniversary editions will have black cloth tops, while the RF retractable hardtop's roof is body color. 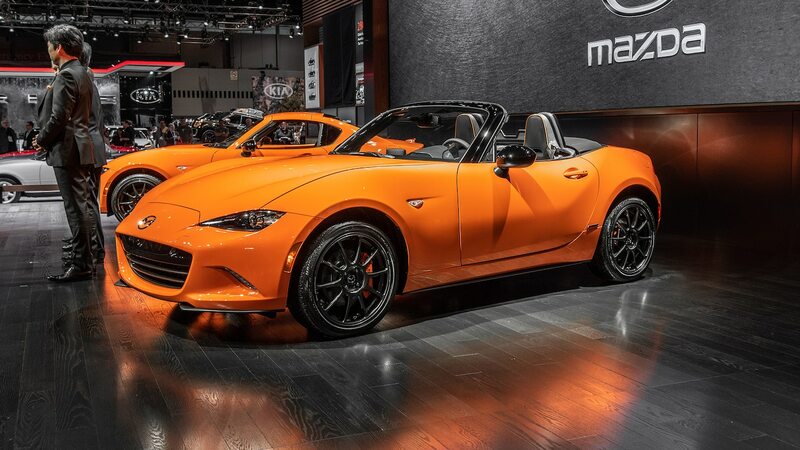 Three-thousand of the Mazda Miata 30th Anniversary editions will be sold globally, with 500 of them due to come Stateside, said Masahiro Moro, Mazda's North America chief. If you want to get in line, head to Mazda's special site to register your interest. 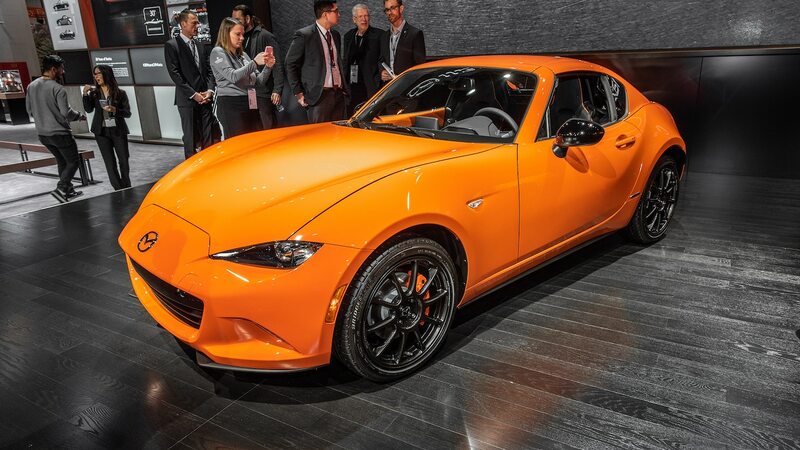 If you absolutely must have this paint color and interior trim, be aware that Mazda has a habit of adding special-edition paint colors to their regular production palette the following model year. I so wish I could afford one as I had a 1969 Big Bad Orange American Motors AMX, that was 1 of 284 cars built but 1 of 6 the way it was optioned, so I'm ALL ABOUT THE ORANGE!!! What an OUTSTANDING CAR MAZDA!! !